The Mayerling Incident was a tabloid ready controversy filled with rampant speculation, salacious gossip, bizarre rumors of ridiculous conspiracies and mysterious cover-ups. Fact and fiction were interwoven to the point that they became inseparable. The powers that be changed their story multiple times. Something akin to an approximation of the truth slowly came to light. The press in Austria was heavily censored, but further west in France and Great Britain speculation flowed freely, some of this crossed back over the border into Austria. The entire drama threatened to undermine an already weakened and rickety monarchy that was already having enough trouble just trying to deal with social and technological changes. Someone would have to take the blame for this self-inflicted debacle and it would not be the monarchy. Rudolf’s femme fatale never stood a chance. The court of official propaganda and public opinion was not kind to Mary Vetsera. She was viewed as a willing accomplice of a mentally troubled Rudolf. Her age did not help matters. She was thirteen years younger than Rudolf, a mere teenager who lacked the emotional maturity to understand what she was getting herself into. Her mother had sought fame in the highest aristocratic social circles for a family that were newcomers on the Viennese social scene. Their background in the near east limited just how far the family might climb, but Mary would end up showing just how far they could fall. Her mother was not allowed to attend the daughter’s funeral. Mary was buried alone at a spot the Crown Prince had selected for the two of them. Instead, Rudolf ended up in the Imperial Crypt, but only after officialdom ensured that his suicide was ruled as the result of mental problems. As for the Mayerling hunting lodge, it was transformed into a Carmelite Convent where nuns could eternally pray for Rudolf’s soul. A very odd thing to do to at a murder-suicide site. While the gesture was heartfelt – Franz Josef wept at the convent’s dedication – such a transformation was incongruous at best, insincere at worst. This was the main reason I found the Jagdschloss Karmel Mayerling to be one of the most underwhelming historical places I have visited. My suspicion was that there had been a tacit agreement to keep the exact truth of what happened obscured by spiritualism. Thus, it was decided to create something of a memorial and leave it at that. The fact that the mystery of Mayerling may or may not have been solved kept interest from visitors such as myself high. It drew me and thousands of others to the Jagdschloss Karmel Mayerling each year. Probably not what the Habsburg authorities had in mind. Today a very strict order of nuns resides at the Jagdschloss in relative seclusion. The chapel now stands in the spot where the main actions of the incident occurred or so I was told. The facts from the investigation of what happened that day were sealed and then destroyed by decree of Emperor Franz Joseph. His wife Elisabeth is said to have never recovered from her son’s death. The same has been said of the Emperor. The royal couple did stay married, though they grew further apart. Mayerling had a shattering effect on the future course of the Empire and the 20th century. Rudolf’s replacement as heir to the throne was none other than Archduke Franz Ferdinand, who would have his own tragic destiny. As time passed after the murder-suicide at Mayerling, Rudolf, the once Crown Prince of Austria gained a reputation as a tragic figure whose death changed history for the worse. This was predicated on the assumption that if Rudolf had lived long enough to become emperor he would have reformed Austria-Hungary and the monarchy would have had a better chance of survival. Such an idea overlooks the fact that Rudolf’s health was already in rapid decline at the time of his suicide mainly due to venereal disease. He had contracted either gonorrhea or syphilis from his endless conquests of women. The disease only served to intensify a nervous condition that had plagued him throughout his adult life. He had also suffered from debilitating migraine headaches for several years. 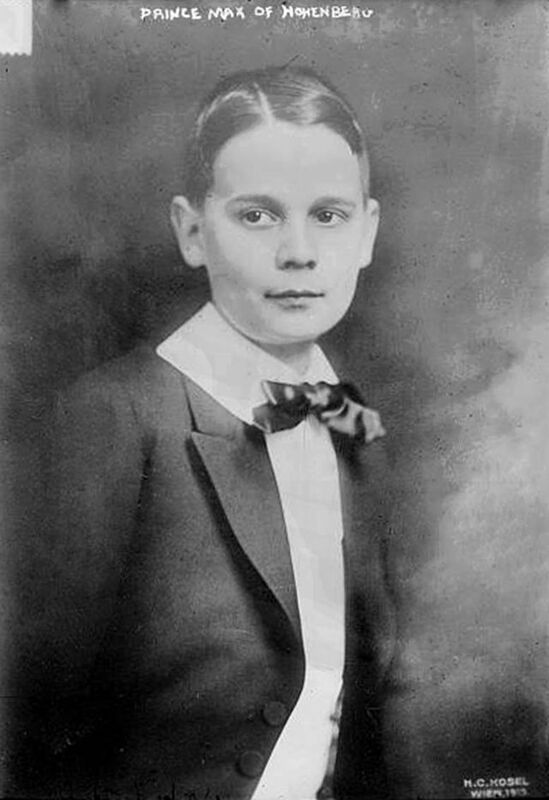 Only thirty years old when he died, photos taken in the months before then showed Rudolf as a prematurely aged man. The Crown Prince had been trying to alleviate his various maladies with morphine and heavy drinking. Those only served to have the opposite effect on his condition. In addition to his physical ailments, Rudolf’s marriage was a disaster. His wife, Crown Princess Stephanie of Belgium, was sterile because he had transmitted venereal disease to her. He did not find her physically or psychologically attractive, the two were a poor match. Their relationship only grew worse as the years went on. Each lived an increasingly separate existence. By the start of 1889, Rudolf was a man living on the edge. He had already tried to get Princess Stephanie involved in a lover’s suicide pact. She demurred. He did the same with one of his mistresses, an ex-singer, by the name of Mizzi Kaspar, who dutifully reported it to the police. The authorities failed to report this to either the Emperor or Empress. The upshot of all this was that Rudolf’s parents failed to realize the extent of Rudolf’s woes. Rudolf would likely have died long before having the chance to assume the throne. Franz Josef did not die until 1916, twenty-seven years after the Mayerling incident occurred. By that time Rudolf would have been 57. There is only a very slim chance that he would have lived a quarter century longer suffering so badly from disease. Rudolf probably realized his condition would continue to deteriorate. The future for him looked bleak, both physically and politically. As for the latter, he had been frozen out of all decision making in the empire. He was considered untrustworthy, impulsive and at times had been downright subversive. Publishing his views in the liberal press under barely disguised fronts. His father would not hear of an annulment to Rudolf’s marriage. His mother, Empress Elisabeth, while close in temperament to her son, was consumed with her own mental and physical problems. It is little wonder that Rudolf ended his life, to have done it in such sensational fashion led to speculation that still continues right up through today. Mayerling’s fame will forever rest on Rudolf’s turmoil. Once upon a trip while traveling in Europe, my wife said to me “there is something of interest in every village”. In this case she was referring to Hungary, but the same could be said of almost any other nation on the continent. That certainly includes Austria. Even the tiniest burgs have played host to many centuries of history and been home to thousands of people all with their own unique stories, some more famous than others. Mayerling was one of those places. I left Vienna behind for a hamlet that was not even the size of a village. At a glance it would seem to be a place of no importance. Such an impression would be patently false, for it was in Mayerling where an “Incident” occurred that would have vast ramifications for the 20th century. The “Incident” had carried me on a journey to the Jagdschloss Karmel Mayerling. I hoped to learn more, but the true value of this place would not be found written on any displays or outlined in the exhibits. Its power lay in an opportunity to stand in the footsteps of history. The reason why anyone visited the Jadgschloss was to see where the scandalous “Mayerling Incident” had taken place. 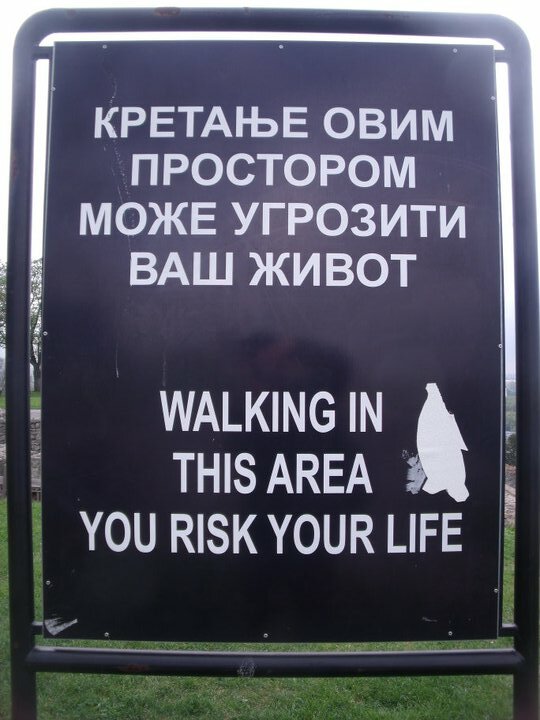 I assumed that visitors like myself had read or been told about it beforehand. Thus, the true value of coming here was to match reality with imagination. To place one of the more infamous historical events within the confines of where it had occurred. Visitors would get to see the actual place where Crown Prince Rudolf forfeited his rights to the Habsburg throne, first by murdering a teenage mistress and then committing suicide. Those actions ensured Mayerling’s place in history. The hunting lodge where this tragedy took place would forever be associated with the death of an heir to the Austro-Hungarian throne. The word Mayerling had taken on a sinister connotation in the wake of what happened in the early morning hours of January 30, 1889. Nothing would ever be the same again for this remote settlement and the hunting lodge that dominated the landscape. The museum at Mayerling was pretty much what I thought it would be, nothing special. It was small, contained the obligatory information displays and a room set up to look as it did back in the hunting lodge’s 19th century heyday. No one would have paid a single euro to see this stuff. It was in the chapel where intrigue abounded. 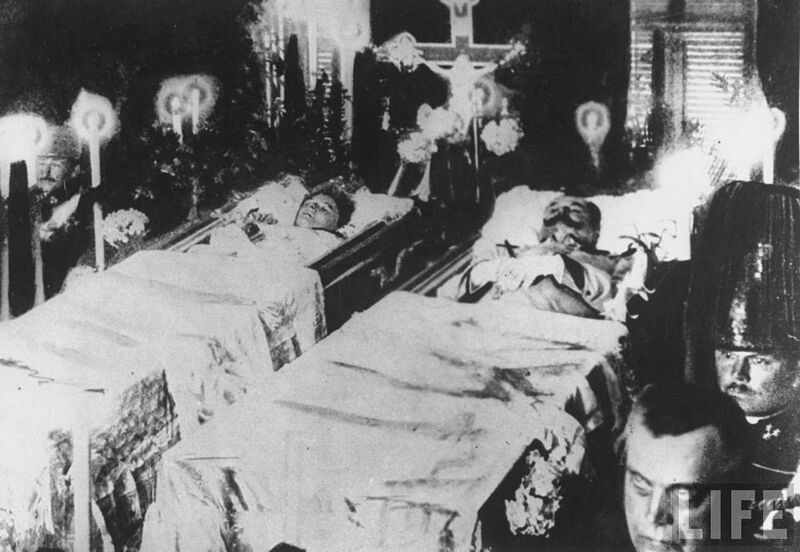 There was an altar placed in the exact location where the bed had stood that contained the bodies of Rudolf and Mary. The setting for the Mayerling Incident was now surrounded by stained glass windows, Christian symbolism and all the trappings of religion. This was one of the more bizarre re-imaginings of a place marred by tragedy. The fact that an altar with a cross, the most venerated symbol in Christianity, was placed in the same location where adulterers spent their final moments before a murder-suicide pact was carried out managed to shock me. There was something sadistic about placing the altar in such a location. It seemed to mock what had happened. Here was spiritualism in the service of obfuscation. The devil really was in the details of what had happened. The powers that be back then had decided to transform a bloody bedroom into a sanctuary to absolve sin. What happened at Mayerling on a brutally cold winter night in 1889 is still open to conjecture today. The “Mayerling Incident” was said to be a murder-suicide. Since that time, countless journalists along with professional and amateur historians have weighed in with an assortment of articles and books on what might or might not have occurred. The evidence is vague and ambiguous. It is also obscured by cover-ups. A short explanation goes something like this, Crown Prince Rudolf, next in line to lead the Austro-Hungarian Empire, supposedly murdered one of his many mistresses and then committed suicide due to a pre-arranged lover’s pact. Austria-Hungary’s version of Romeo and Juliet. Rudolf’s mistress, the 17-year old Mary Vetsera, was found in the bedroom with flowers folded in her hands as she lay dead from a gunshot wound. It is believed she died during the night, but the Crown Prince was seen that morning by one of his servants before going back to his bedchambers and shooting himself. No one knows what really happened, but by morning two dead bodies were discovered. Rumors and speculation were rife from the outset. The details of this are still disputed today, complicated by imperial secrecy and conspiratorial politics. 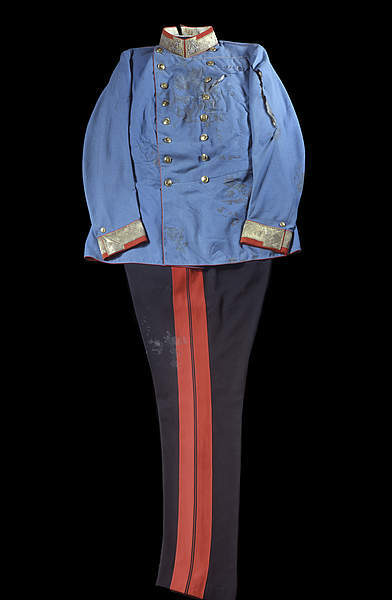 Some believe that Rudolf arrived at Mayerling utterly distraught following an argument with his father, the Emperor Franz Josef. Father and son were said to have quarreled badly in the preceding days, though there is no first-hand documentation of this happening. The emperor would most certainly have denied Rudolf the right to divorce his wife, Crown Princess Stephanie. Rudolf had already gone behind his father’s back in writing the Vatican to request an annulment of his unhappy marriage. 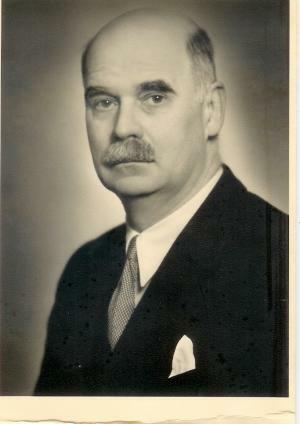 To further exacerbate matters, it was thought that Rudolf had been in contact with Hungarian opposition figures whom the imperial administration loathed. One prominent theory holds that there was a plot to murder Crown Prince Rudolf. This was done to ensure his liberal ideas to arrest the empire’s continual decline could never be enacted. Franz Josef did likely feel that Rudolf was not worthy to succeed him. Theories and opinions on the true cause of the Mayerling Incident have been rampant ever since news of it broke. Gossip and hearsay informed opinions as much as truth. This was aided by the suppression of information by the imperial authorities. This vacuum was filled by those with their own theories. Some hypothesized that the incident was really part of a French plot to weaken Austria and the Habsburgs. Then there was the initial conspiracy theory that Mary had poisoned Rudolf or maybe she shot him and then herself. The authorities needed some sort of explanation for what happened. The first “official” version was that Rudolf had died of a heart attack. Unfortunately for the House of Habsburg, Rudolf was almost certainly the trigger man. A trigger man who would soon become a tragic figure. 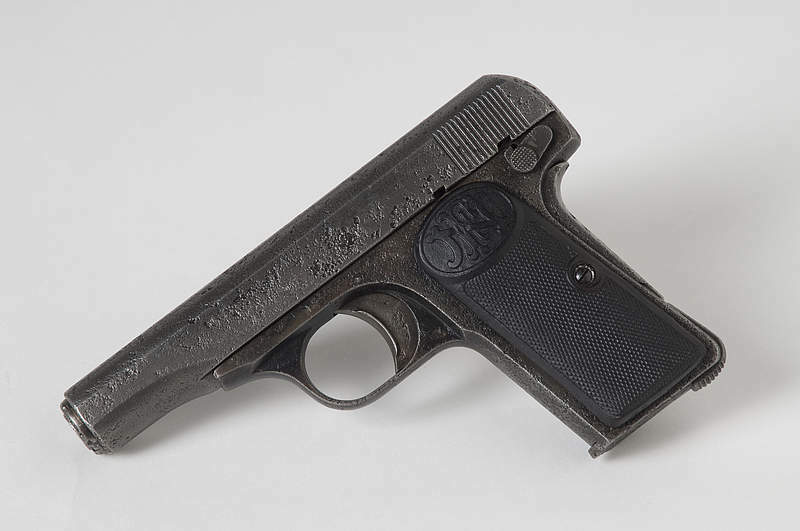 The trigger that started World War One was pulled on a street corner in Sarajevo on June 28, 1914 with the assassination of Archduke Franz Ferdinand. The starting gun for that incident went off much earlier, twenty-five years earlier to be exact. At least that is what some scholars believe. That is because on the night of January 29,1889, the heir to the throne of the Austro-Hungarian Empire, Crown Prince Rudolf committed suicide along with his young lover at a royal hunting lodge in the tiny village of Mayerling, just 25 kilometers from Vienna. 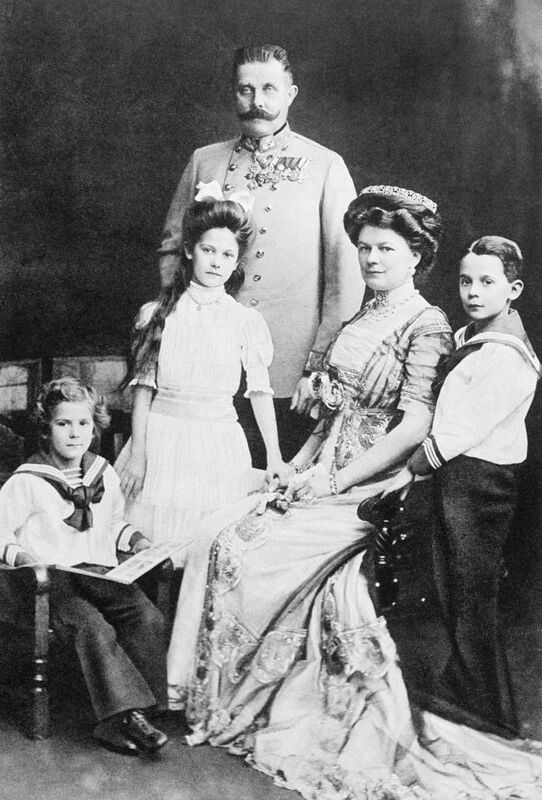 The death of the Crown Prince, only son of Emperor Franz Josef and his wife Queen Elisabeth, meant that the succession passed down to Franz Ferdinand. In effect putting him in the direct line of fire to be murdered in Sarajevo a quarter century later. What has become known as the Mayerling Incident is famous both for the geopolitical outcomes that resulted from it and the endless conjecture about what exactly happened at the hunting lodge on that fateful winter night. Sopron was a great place to stay for a day trip to Vienna since it was only an 80 minute train ride away. Thus, I availed myself of the opportunity to visit the city for the second time on this trip. After sightseeing in the city center for a few hours I decided that there was still time to visit Mayerling. It interested me for two reasons. The first was because of what had happened there. Second, it was relatively remote for an attraction in the area. There was a reason I had never met anyone who had been to Mayerling. When all the glitter, sparkle and festive atmospherics of central Vienna are in front of you, traveling out to a wooded hinterland in search of a murder-suicide site is less than appealing to most normal people. Well I never wanted to be normal, thus visiting Mayerling appealed to my ego. I would be the first in my family to visit there, as though that meant something to anyone other than me. In addition, I could come home with a story to tell bored relatives, oblivious friends and legions of coworkers who would care less what some Austrian royal light weight had done to himself and his mistress. I told myself that Mayerling would be worth the bother of getting there. Mayerling was not that far from Vienna, but it might as well have been in another world. To get there I first had to take the metro, then a tram, followed by a bus. It only takes half an hour to drive to Mayerling from central Vienna, but by public transport it took an hour and a half. The final leg by bus was quite scenic as it winded through rolling, forested countryside. Low mountains began to appear in the distance. In these woods I imagined royal hunting parties in the autumn, everything done according to protocol. Habsburg Emperor Franz Josef was especially fond of hunting, keenly interested in all aspects. It was a sad irony that his only son would come to a tragic end in a lodge that was associated with one of the Emperor’s few passions. The former hunting lodge was to be found in a small mountain valley. I was the lone passenger to get off at Mayerling. As the bus departed I suddenly felt abandoned. The village of Mayerling was more like a settlement or what back home in the States would be called an unincorporated community. There were some scattered residences, a guest house and the centerpiece of this otherwise forgettable hamlet, the Jagdschloss Karmel Mayerling. What had once been an Imperial hunting lodge, then a church and convent of the Discalced Nuns was now a museum. I sensed a feeling of forlorn remoteness about Mayerling. It was a blustery day with a decided bite in the air. It felt like winter had not quite left the area, after what had happened here I wondered if it ever did. Rather than repel, the forlorn nature of the area fascinated me. A fitting prelude to a place touched by tragedy. I quickly made my way toward the museum. There was a handful of others visiting the museum at the same time as me. An Austrian family nearly ran me over when I was headed into the museum where the “Mayerling Incident” occurred. This was not the first time I had experienced the pushiness of Austrians. Despite the neat, well ordered world that could be found throughout the country, the Austrians I encountered, while gracious and helpful, were also habitual line jumpers. This came as a complete surprise to me. I assumed, quite wrongly, that since Austrians were ethnic Germans, they would act exactly as Germans do in Germany. I soon learned just how wrong my assumption had been. For instance, while standing in line at Vienna’s central train station waiting to purchase tickets, three older men decided to walk around me and take their place at the head of the line. When I tapped one of them on the shoulder and ordered the group back behind me, the men looked positively shocked. They did not fuss or fight over position, but I could see on their faces a sudden awareness that line breaking was not to everyone’s liking. This was not first time I had noticed that the lines in Austria were not straight and narrow like those in Germany. This was one of several things that separate Austrians from Germans, differences of nuance rather than degree. This was never truer than when that family at Mayerling muscled me out of the way. They were going to be first, no matter what rudeness was involved. Of course, this ended up triggering the same impulse in me. I stepped right in front of them again, then made it quite apparent I was holding my place. This bit of childish chicanery distracted me for a moment. Then I turned my attention to the reason I was visiting Mayerling, to see where Crown Prince Rudolf and his teenage lover spent their final moments. 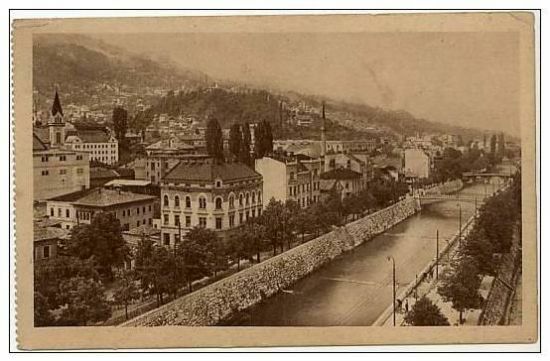 It was the middle of June, 1910, almost summer time in Sarajevo. Warmer temperatures were only one of the reasons for optimism. Another was the formation of a parliament for the Austro-Hungarian administered Bosnian province known as the Sabor. It was officially opened in mid-month by the provincial Military Governor, General Marijan Varesanin. The Austro-Hungarians felt that this might be a turning point in the process of integrating the province further into the Dual Monarchy. It was wishful thinking. Despite the parliament’s creation, a peasant revolt had just taken place in the countryside. Bosnia’s heterodox population of Serbs, Croats and Muslims were restless to the point of violence. Just two years earlier, the Dual Monarchy had annexed the province. This had inflamed revolutionary sentiment among the South Slavic people who called this mountainous land home. Their aim was to expunge the Austro-Hungarians and set up a South Slav state. The Austro-Hungarian hope that the creation of a Sabor would quell some of the populace’s anger was in vain. Political violence was the preferred solution for young Bosnians who felt marginalized and unrepresented. They wanted self-rule, rather than imperial occupation. They were going to change their world and were willing to die for it. The ultimate outcome of this mindset occurred in June of 1914 with the assassination of Archduke Franz Ferdinand in Sarajevo. That successful act of violence led to the First World War. 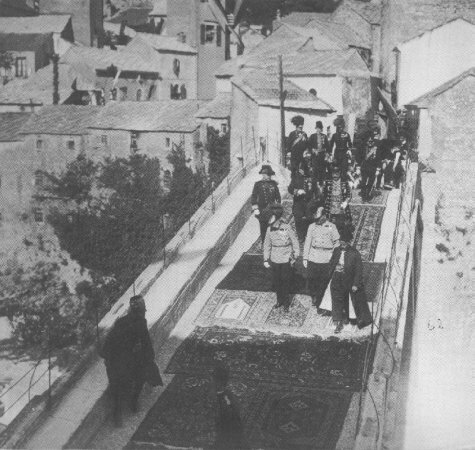 Strangely, a failed act of violence on the 15th of June, 1910 in Sarajevo was a shocking example of what was to come. It was a pity few failed to heed the warning shots. On that day, the Austrian Military Governor of Bosnia, General Marijan Varesanin had been given the honor of leading the official opening of the Sabor. After the ceremony ended, his carriage made its way down the Appel Quay, astride the Miljacka River. He was heading back to his home at Konak, the military governor’s mansion. It would be along this same stretch of road four years later where Franz Ferdinand’s motorcade would have a bomb thrown at it. This would also be the same road where the fatal wrong turn by the Archduke’s chauffeur led the royal couple directly into the line of fire from assassin Gavrilo Princip. While General Varesanin knew that any Austrian leader in Bosnia was under threat of attack, he could not have imagined that on such a heretofore successful day, an assassin was lurking along his route home. The carriage turned onto the Kaiser’s Bridge, ironically only one bridge up from the Latin Bridge where the Archduke would meet his fate. Suddenly five gun shots rang out in quick succession. They came within a hair’s breadth of hitting the General. A sixth shot did hit its mark, but in this final case the target happened not to be the General. The would-be assassin had placed the Browning pistol against his head and pulled the trigger. He dropped to the ground, dead in the middle of the road. Varesanin left his carriage to take a closer look. What he found was a young man, in his early 20’s, with blood oozing from his mouth. The entire episode, from first shot to the inspection of the assassin, took place with breathtaking rapidity. The man lying dead in the road was one, Bogdan Zerajic. He, like so many Balkan assassins around the turn of the 20th century, came from an impoverished peasant family, one which not surprisingly had nine children. He tried to make a career for himself by studying law at university, but had to drop out due to lack of funds. He then found his true calling while reading anarchist literature and joining the burgeoning ranks of those youthful, wayward souls calling for revolution. He initially targeted the Emperor of the Dual Monarchy, Franz Josef for assassination. He got within an arm length of him in the city of Mostar, but could not bring himself to go through with the planned attempt. Only a few weeks later, Zerajic’s attempt on the life of Varesanin failed. In death, Zerajic gained martyrdom. His grave became a pilgrimage site for those who would eventually follow in his footsteps. 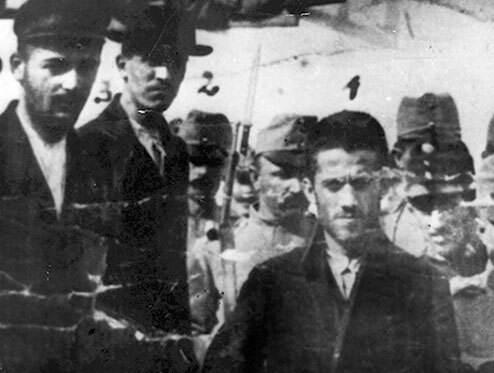 Among the visitors included Gavrilo Princip, who is said to have placed flowers on his grave. In death as in life these kindred spirits would converge, Princip was buried in the same cemetery a decade later. Interestingly, whereas Zerajic barely missed with his five shots at Varesanin, he was able to commit suicide. Conversely, both of Princip’s shots were hits, yet his own suicide attempt failed. Yet Zerajic despite his failure inspired many a Serb, while the successful Princip’s actions led to defeat and misery for Bosnia and Serbia in the immediate years that followed. The unintended consequences of history work in strange ways. Answers to what might have been in the aftermath of the attempt on General Varesanin’s life offer any number of fascinating suppositions. What if he had been killed? It would almost certainly not have sparked a World War. On the other hand, if Zerajic had murdered Franz Josef in Mostar, one can pretty much imagine the ramifications. The difference between assassinating a military governor and the emperor are vast. One could lead to martial law, while the other to world war. 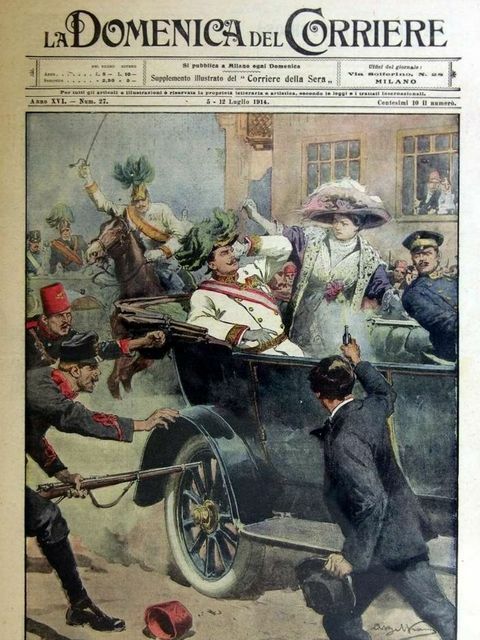 It is a pity that a mere four years after the assassination attempt on General Varesanin in Sarajevo no one seems to have really considered that the same could happen to the Archduke. Maybe there was an ingrained faith that strokes of luck, rather than strokes of fate would see Austria-Hungary through in Bosnia. If only the Dual Monarchy’s leaders had thought otherwise. If it had happened in Sarajevo once, it could certainly happen in Sarajevo again. Timing is everything. This was never truer than in the assassination of Archduke Franz Ferdinand in Sarajevo. The assassin, Gavrilo Princip, was in just the right place at just the right time. 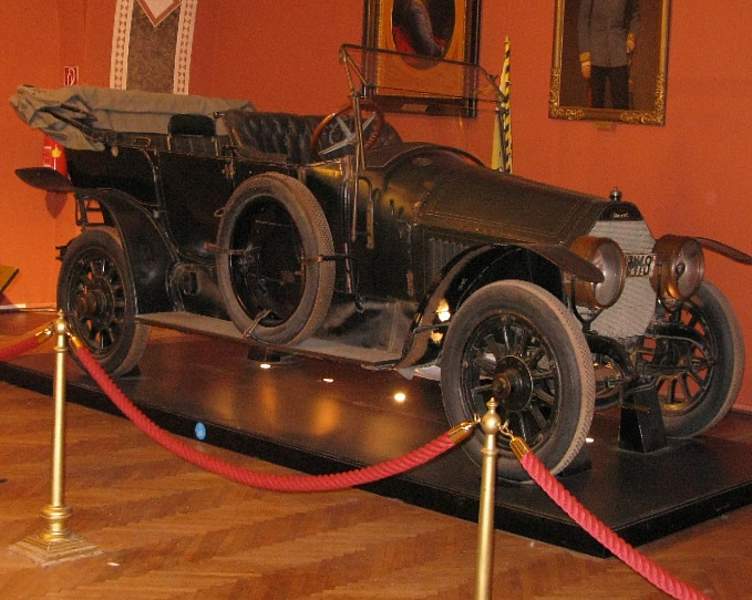 He stepped out of Schiller’s Delicatessen in the early afternoon of June 28, 1914 to suddenly discover the Archduke’s car stalled right in front of him. The rest as they say is history. That moment may have been the right time to commit the assassination, but Princip would later come to regret both the fortuitous timing and the event itself. 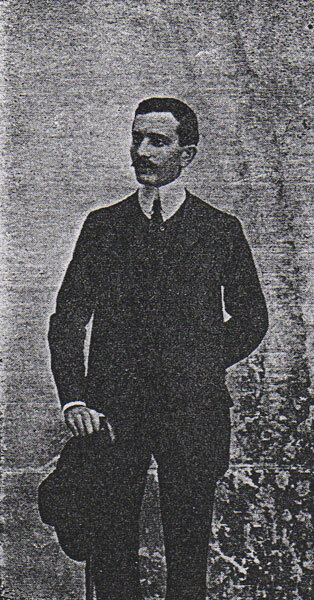 When the assassination occurred Princip was twenty-seven days short of his 20th birthday. Under Austro-Hungarian law, he could not be sentenced to death due to his age at the time when he committed the murder. This at first might have seemed to be a stroke of luck. After all, though Princip received the maximum sentence, it was for only twenty years. He could possibly live long enough to be a free man once again. Taking such a view of the situation is deceiving. Princip may have avoided execution, but he was also effectively denied martyrdom. Not a small thing in the mind of a man hoping to change the world. Princip’s twenty year sentence ended up lasting only three and a half years. Yet that turned out to be long enough. The tortuous years he spent in prison turned out to be a much worse death sentence. Terezin was a fortress complex north of Prague, in what is today the Czech Republic. It was constructed during the late 18th century as part of what was to be a system of defensive fortresses to protect Habsburg Austria’s territory. The complex consisted of a large fortress, which was basically a walled town, as well as a much smaller fortress. Neither were ever attacked and both soon became obsolete. The complex was then converted into a prison. Today Terezin is better known by its German name of Theresienstadt. This is because of its role as a transit camp for Jews during World War II. Tens of thousands perished in the fortress due to disease and malnutrition. Those who did survive were shipped onward to extermination camps further east. Almost all the prisoners who were there during the darkest days of the Holocaust are anonymous to history. Strangely though, the most famous person to ever suffer within the walls of Terezin had been imprisoned there some twenty five years before. 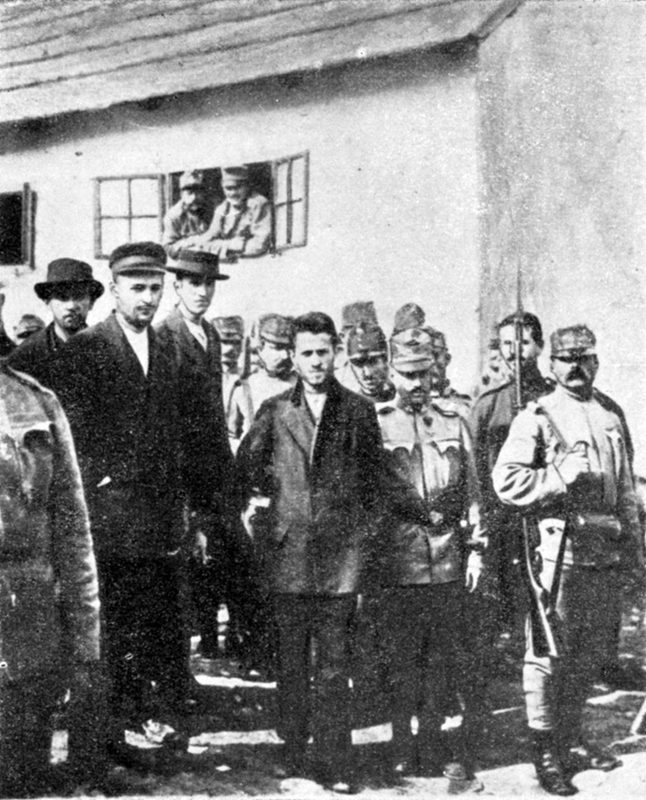 Gavrilo Princip arrived at Terezin in December 1914. He was lucky to have made it alive to the prison in the first place. 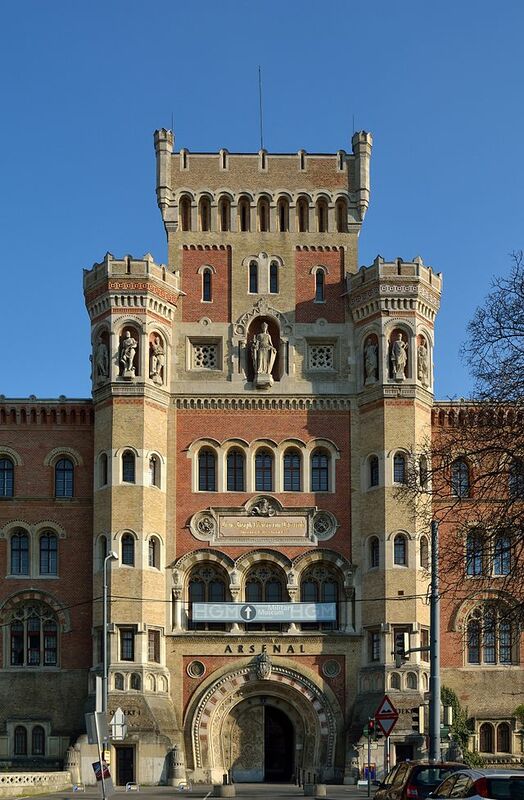 On the week long railroad journey that carried him from Bosnia to Bohemia, the train had stopped in Vienna. At the station a lynch mob baying for blood had to be held back by the police. The mob had good reason to be angry. The empire they called home was committing suicide on the southern and eastern fronts of the Great War sparked by Princip. 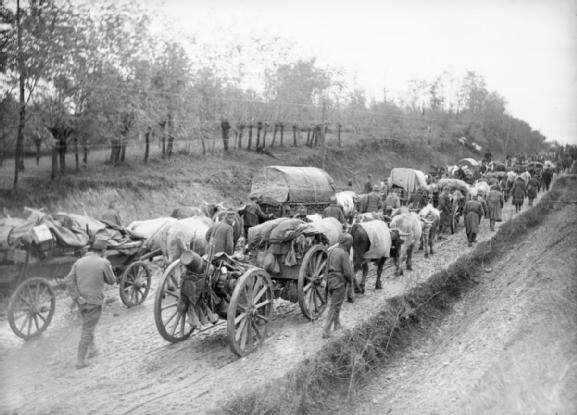 After just four months of war, the Austro-Hungarian forces had lost one million soldiers. And worse was yet to come. 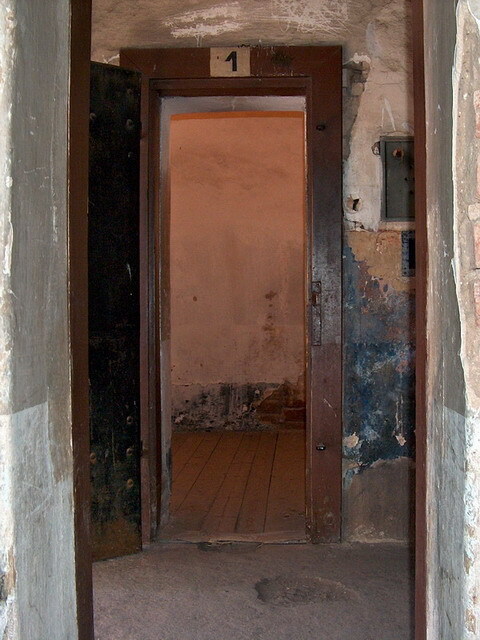 Upon his arrival at Terezin, Princip was immediately placed in solitary confinement within the small fortress. For days, weeks and months on end he was bound with shackles that weighed over twenty pounds. His days consisted of either sitting or sleeping. He was not allowed visitors nor any reading material. In early 1916, during the depths of winter, his will finally broke. He attempted to hang himself with a towel, but was unsuccessful. This was the second suicide attempt by Princip that had failed. His first had occurred in Sarajevo immediately after he carried out the assassination. He took cyanide, but vomited it up. Before he could turn the pistol he had killed the Archduke with on himself, he was stopped by onlookers. It was not just his situation in the prison that brought Princip to such desperation, he had almost surely been informed by guards that the Serbian Army had experienced total defeat. By 1916, the south Slavic areas were occupied by German and Austro-Hungarian soldiers. The assassination by Princip had sparked an all-consuming war that had for the time being destroyed the dream of a Yugoslavia, which Princip had fervently believed could unite all the South Slavic peoples. 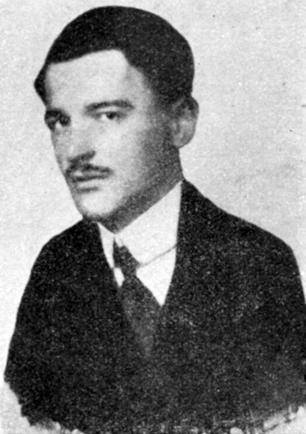 Within a few weeks of his attempted suicide, Princip received one of his first and only visitors in Terezin, a psychiatrist by the name of Martin Pappenheim. They met on four different occasions, the first in February and the last in mid-June of 1916. Princip confided to Pappenheim that the days were interminable. He badly missed being able to read and had no intellectual outlet. The only sliver of light that still cast a ray of hope amid the darkness of prison life were fantastical dreams he kept having about love. Yet these were fleeting, since Princip only slept a few hours at a time. According to Pappenheim, the twenty-one year old Bosnian Serb had lost all hope. Now that Serbia had suffered total defeat, there was nothing left for him. Pappenheim also noticed the festering sores on Princips wasting body. Tuberculosis was literally eating the young man alive on the outside. Being chained to the wall of his cell for a year and a half had irreparably damaged Princip’s physique. Little did he or his psychiatrist know that he still had nearly two years left to live. Pappenheim’s meetings with Princip soon became a thing of the past. He was left alone once again. His condition continued to deteriorate. His left arm literally rotted away at the elbow. A wire was used to connect the lower and upper parts of his arm. Inevitably, an amputation had to be done. This only bought Princip a limited amount of time. With his body covered with infection, sores oozing profusely somehow he lasted into the spring of 1918. Than just after dawn, in late April he finally drew his last breath. The suffering was over for Princip, yet the war raged on. A couple of years before his death, in one of the meetings Princip had with Pappenheim their discussion had turned to the war that was raging all over Europe at that moment. 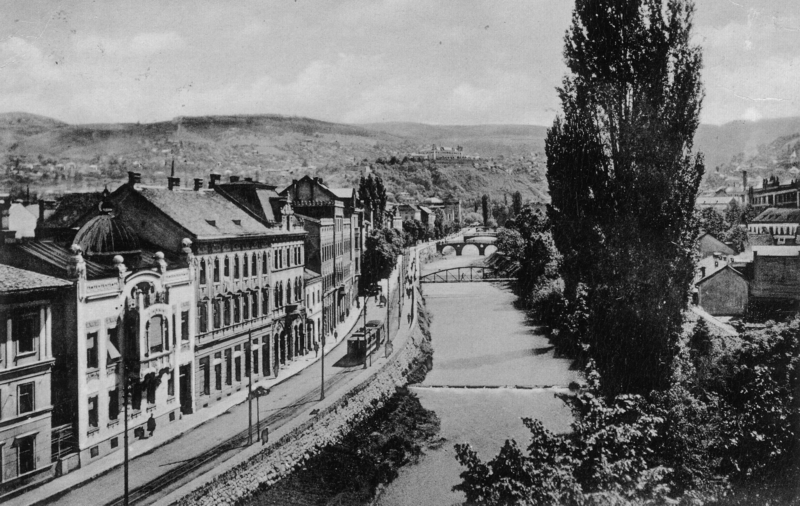 Princip found it incredible that the war had started because of the act he committed in Sarajevo. He had thought a war might eventually come about, but not right then. Princip professed that such an outcome seemed unbelievable. He was not the only one who probably felt that way. The rest of the world shared Princip’s disbelief of the Great War that had ensued from the assassination of the Archduke. Princip ended up dying all alone in a Bohemian prison, meanwhile a whole world was dying together on bloody fields of battle all across Europe.